Design practice: OUGD203// Self- initiated brief: Student Peace kit..
OUGD203// Self- initiated brief: Student Peace kit..
For this brief I will be creating a student kit for the Peace One Day, so that students can order a kit offline and help spread the word about Peace One Day around their university. 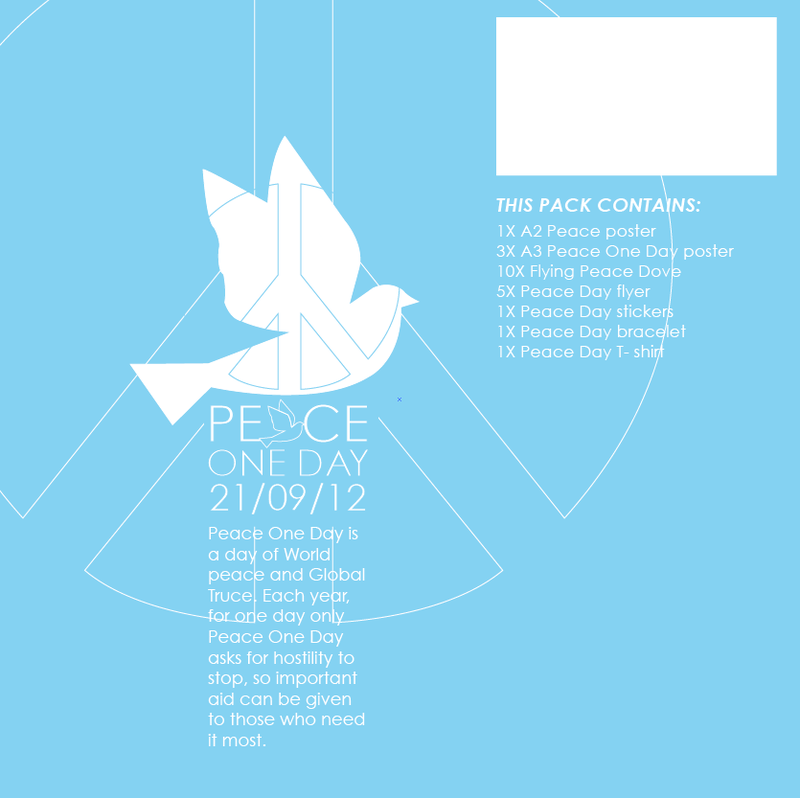 The kit will be delivered in a box which will contain all of the items to help support the campaign. Including things such as posters, stickers, a t-shirt, a bracelet, flyers and the origami doves. 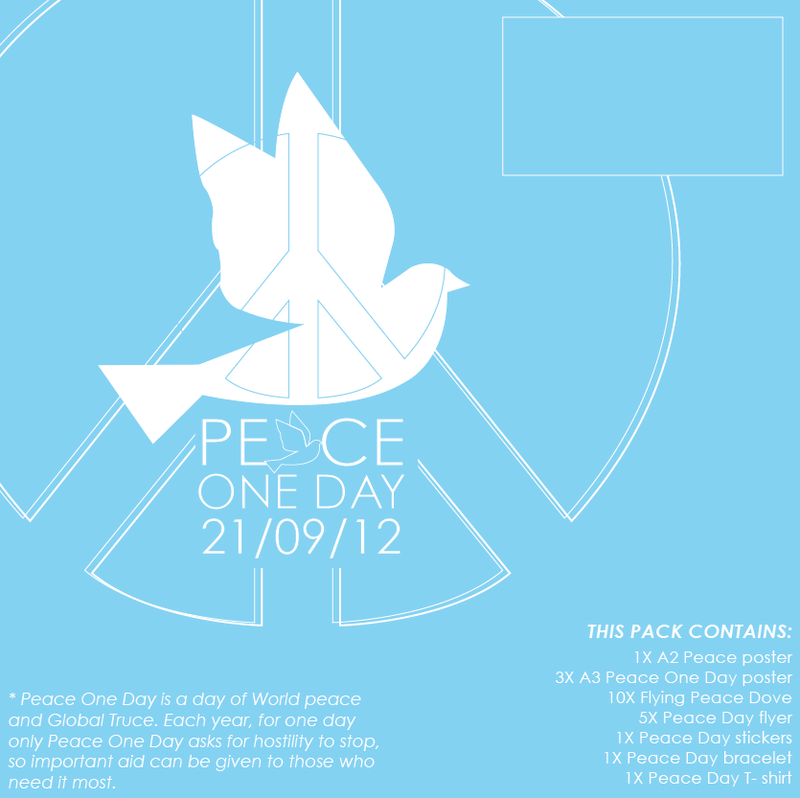 Below are my designs for the box. This is the first design that I came up with. 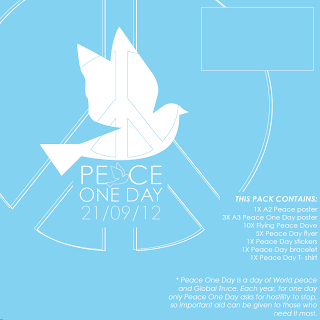 I found it difficult to add all the required information on without over crowding the design. 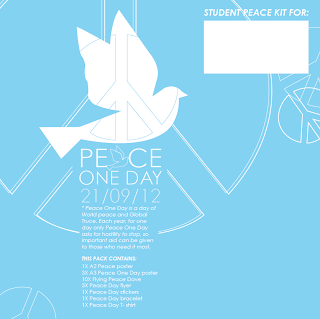 I have added a small description about Peace One Day and then the contents of the kit. I tried to layout the information so that it wasnt too all over the place. I dont think that this layout worls too well because there is so much negative space. I dont want it to be too busy but I want it to be engaging as well. The white box in the top right corner is for the addressee. I wanted to add the logo on the box but I didnt want it too big so I have added a peace symbol using only a stroke as a background to make it look less bare. 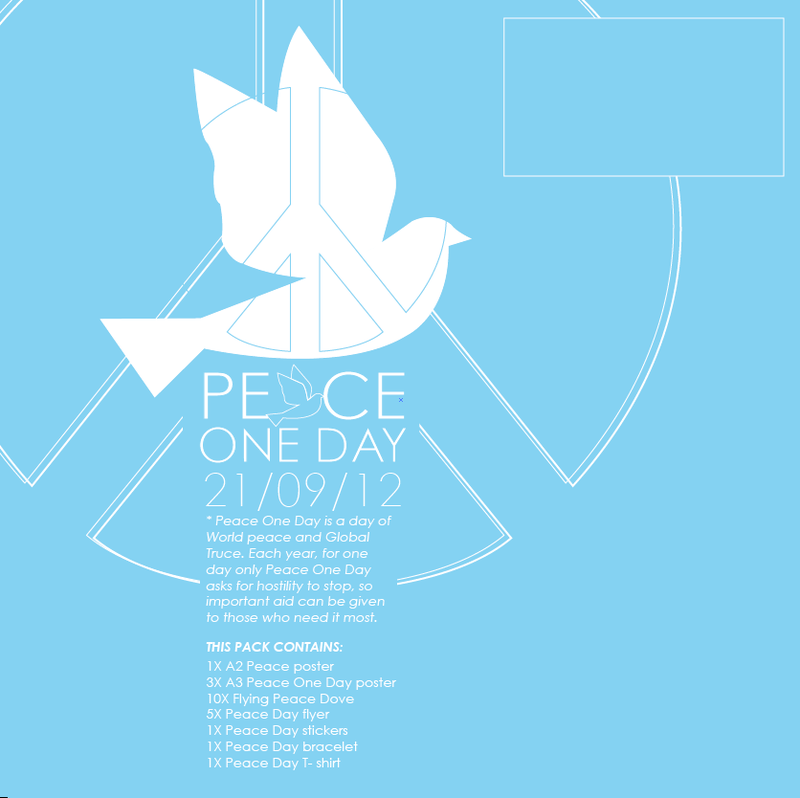 With this design I have moved the text around to see if it would look better anywhere else. The info about Peace One Day has moved under the addressee box and the kit contents is in the bottom left corner. I moved the info to here because the deliver would most likely read the info out of curiosity if it was placed here, this means that someone else will be reading about it and this may provoke them to look into it further. I then placed the info back under the logo so that the two linked together and made more sense. The contents of the box has then been moved to the top left of the lid but I feel it looks as though it has just been stuck there. This layout then makes the whole of the right side look really empty. Moved the info to the bottom of the box and starred it as extra info. This doesnt work because its too low down and too far from the logo which means they dont support each other as much. OUGD203// End of Module Self Evaluation..
OUGD203/ Product, Range, Distribution boards..
OUGD203// Self- initiated brief: Posters..
OUGD203// Self- initiated brief: Origami..
OUGD203// Self- initiated brief: Research List..
OUGD203// Self- initiated brief: First Draft..
OUGD203// Self- initiated brief: Initial ideas..